Q. I have seen some enthusiast cameras with non-interchangeable, non-zoom lenses selling for $1,000 to $2,500. Wouldn’t you be better off buying a mirrorless camera and putting a prime lens on it? At least that way you have the option to change lenses someday, and it would probably cost less too. A. I kind of agree with you about that, though I recently tested a fixed lens camera from Sigma that offers something fundamentally different than anything else on the market. It could be very compelling for some photographers. Most digital cameras use a “Bayer” sensor, or a variation of it. In a Bayer sensor, each pixel only captures one color of light, either red, green, or blue. The pixels are arranged in a checkerboard pattern on the sensor. The camera processes the output from the sensor, creating the image by comparing the readings from each pixels and the pixels surrounding it. In this way, all the colors can be recreated and a high resolution image produced. Sigma cameras use a Foveon sensor, which works in a completely different way. The red, green, and blue pixels are stacked to create the sensor, and each pixel can record every color of light, just like film. This is a theoretically superior way to record a digital image. If the Foveon concept is a fundamentally better way of recording an image, then why doesn’t everyone use it? Besides it being proprietary Sigma technology, there are significant limitations to the technology as it is now. There is also the fact that Bayer sensor technology does an excellent job and few people are complaining. For those who are looking for something special and can live with the Foveon’s limitations, the Sigma cameras are well worth considering and have developed a cult following. I recently tested the Sigma DP2 Quattro camera ($999 MSRP, online price usually less) and will discuss the image quality as well as these limitations, which Sigma is quite candid about. You can take any mirrorless, SLR or large-sensor compact camera and use ISO 1600 or higher and get great pictures. The Foveon isn’t happy above ISO 400 and really works best at ISO 100. This is a camera that works best on a tripod, in good lighting conditions, or both. There is no video recording, the camera is a bit slow in operation and it goes through batteries quickly due to the Foveon’s power requirements. Figure on less than 100 pictures per charge. Sigma thoughtfully includes two batteries with the camera. Surprisingly, for a camera that is meant to be used in good light, I found the LCD screen almost impossible to use in bright Nevada sunshine. An aftermarket attachment called a Clearviewer will help with this. This is a camera for deliberate, well thought-out photography, which sadly has fallen by the wayside in this age of cell phone cameras. Why would anyone put up with such limitations? When you see the pictures on a good, high resolution monitor, you will know immediately. They are simply stunning, with a 3D-like quality that is hard to define. They are also incredibly clean when viewed at full size, with not a hint of digital grit in the fine details. 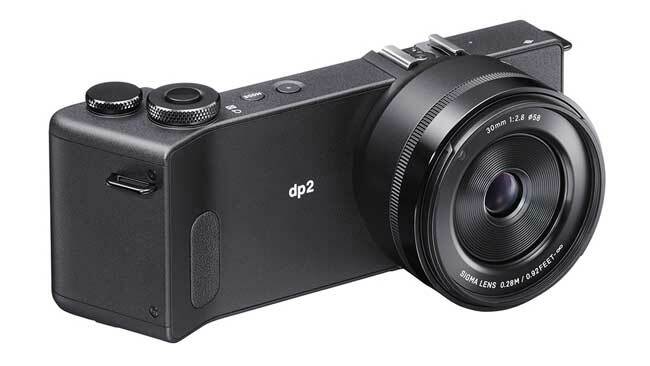 If you prefer the rich look of film to digital, you will love the pictures of the DP2 Quattro.